Home Fortune Cookie Soap	Fortune Cookie Soap Witch Please! Fall 2014 Soap Box Giveaway! Fortune Cookie Soap Witch Please! Fall 2014 Soap Box Giveaway! The Fortune Cookie Soap Witch Please! Fall 2014 Soap Box has arrived and I’ve got the details and a giveaway! This Soap Box features a mashup theme of The Wizard of Oz and Wicked. There are some of the old usual products included as well as some new ones. This time there is a twist! 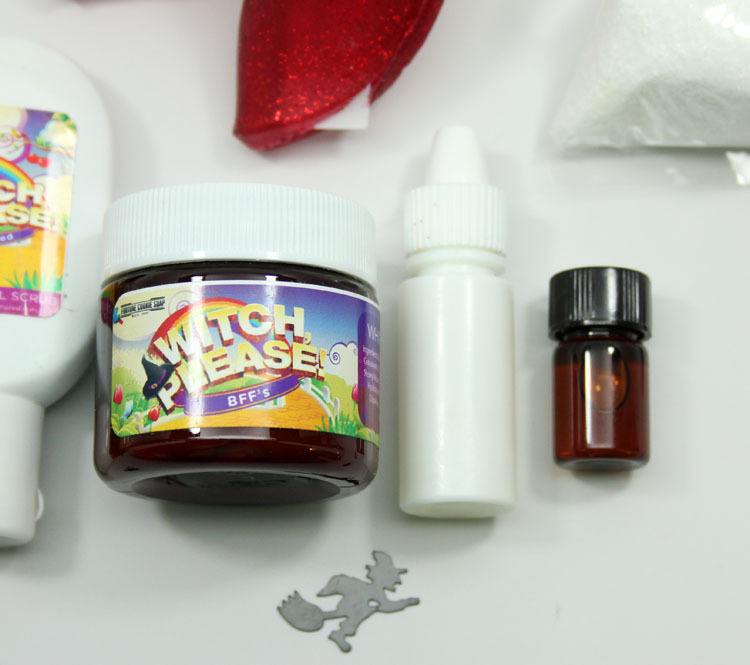 The Whipped Cream comes in four scents and it’s a mystery “witch” one you will wind up with! If you love spicy, autumn-inspired scents, you might love this box because it’s filled with those smells. 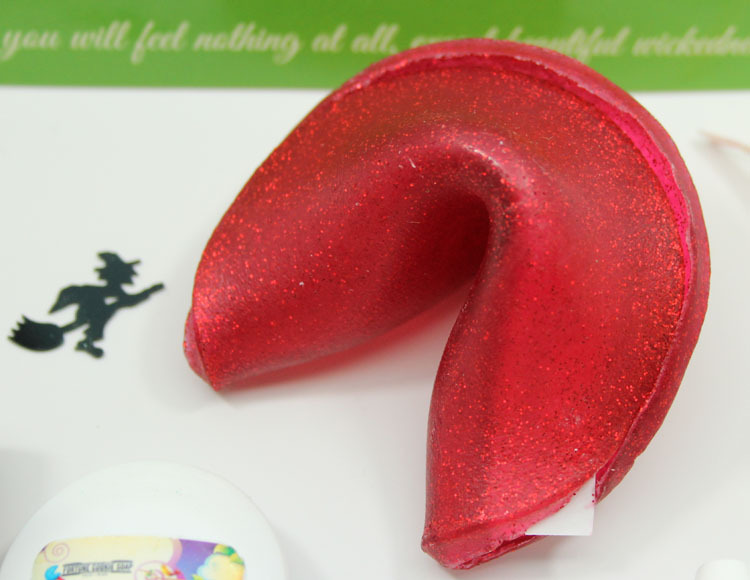 There’s No Place Like Home Fortune Cookie Soap is a super cute looking glittery red soap. It smells like Macintosh apples, cinnamon and clove. The scent SCREAMS fall to me and makes me seriously excited for Halloween! Flying Monkeys Personal Space Air Freshener has the smell of peach, watermelon, jasmine, neroli and…bananas!! That might sound like a weird combination, but it actually smells really good, and I am not normally a fan of some of those scents. Roy G. Biv OCD Hand Sanitizer at first smells like citrus and then it leaves behind this woodsy/lemon/cotton/vanilla scent, which is really nice and warm smelling. Swankified Walnut Facial Scrub is a new facial scrub from them and smells like sweet cake batter, faintly of bananas and it also has this nice walnut-y scent. It smells really good, and I think it’s my favorite scent out of all these items. BFF’s Whipped Cream smells like blueberries, pumpkin and fall spices. You might think that’s weird but it really works and I am completely in love with it. I keep smelling my hands, for real. The other three Whipped Cream scents that you might wind up with are: Green Is The New Black (smells like pumpkin pie, cinnamon, ginger, brown sugar and whipped cream), No Good Deed (smells like pumpkin puree, cinnamon, Vermont maple syrup, rum, French vanilla and caramelized sugar) and Wicked, Good (smells like orange, pear, apple, pineapple, cherries, pumpkin, cinnamon, nutmeg, cloves and vanilla). Hair Flip Hair Oil is another new product from the brand. It’s a custom blend of oils which helps nourish and repair hair. This smells like hazelnut and vanilla cream. The Shiz Perfume Oil smells like walking through the woods with hints of maple, laurel and sweet clove. It’s very woodsy smelling. 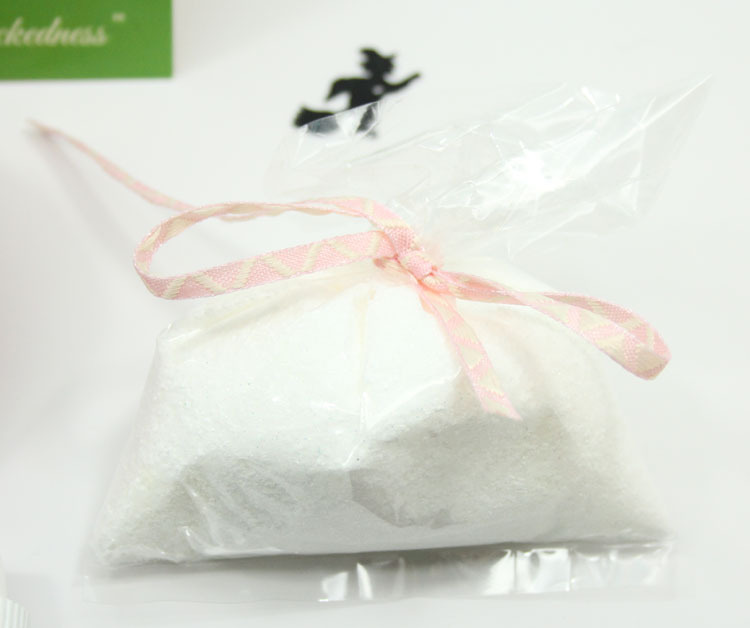 Miss Popular Bubble Bath Powder smells like honey nectar, star anise, star jasmine, sweet orange and blushing violet. You can find out more about the Soap Box and how to sign up on their website. And now here’s the giveaway. 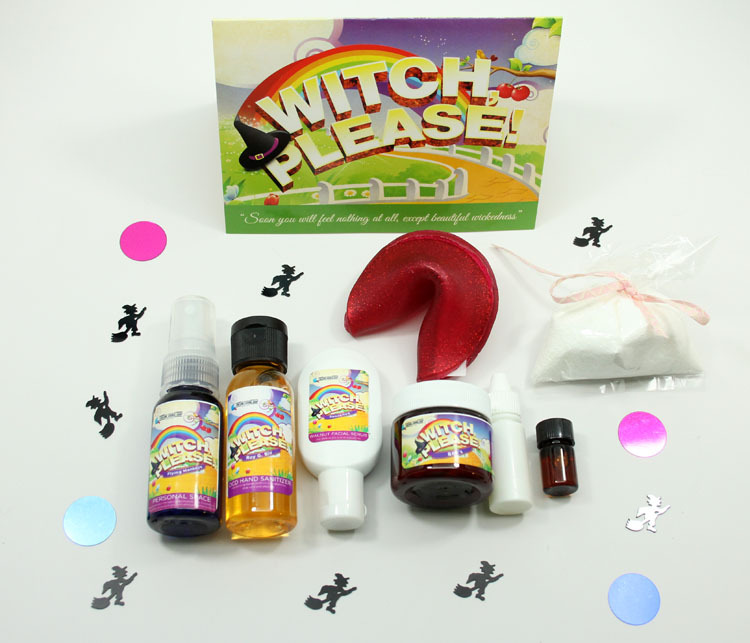 One lucky person will win their own Witch, Please! Soap Box! Please let the Rafflecopter widget load and good luck!